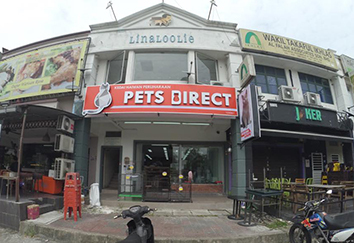 A one-stop pet centre that provides pets food, cages and pets grooming services. Our centre is located in Klang, Selangor, Malaysia. We also established 3 branch offices which located in Sungai Perdana, Shah Alam, and Jalan Kapar. We carry a wide range of brands such as Royal Canin, IAMS, Blackwood, Button and Bow, Basic Select, LV, Love Cat, Pure Live, Breed, Cat Eye, Paw Cat, Pro Diet, Smart Heart, Whiskis, Happy Cat, and Equilbro. We also supply Greens, Whiskas, StarPro, Pasir Kucing, and Multi-Cat.